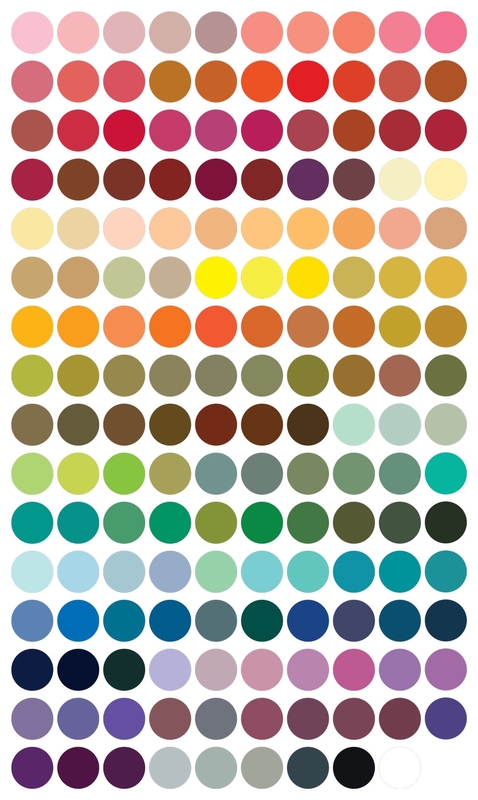 Sanzo Wada created A Dictionary of Color Combinations in the 1930s, with 348 different colour combinations of 159 different colours. I've made a swatch library of them to use while designing, which you can download here. If you are interested in the book you can buy it from Magma.